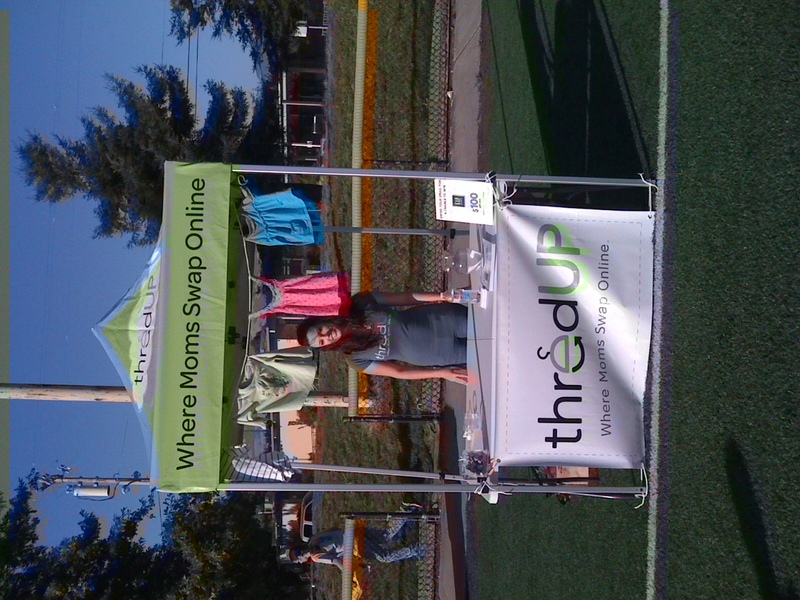 All of us here at thredUP love the amazing community of Moms that use our service. We love reading your stories and seeing the photos you openly share of your families. While we feel like we have gotten to know many of you, we thought it was high time we introduce you to our family at thredUP. One at a time, a different thredUP employee will say ‘Hi’ and share their story. Without further introduction, meet Tara, thredUP’s Social Marketing Manager. Hi everyone! 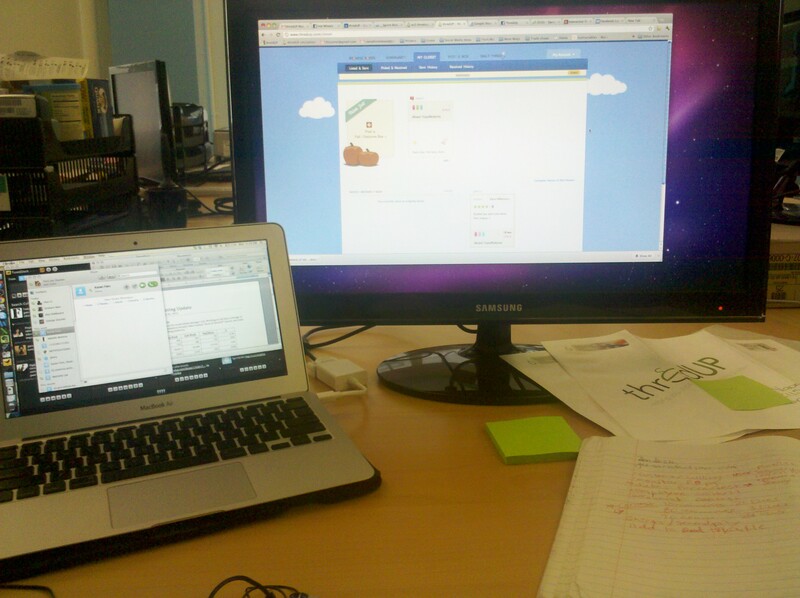 My name is Tara, and I have worked at thredUP since June of this year. I wanted to share with you a little bit about myself and what I do. My background is in public relations and education. I taught preschool for several years and realized immediately that the idea for thredUP was brilliant and I had to apply! In my job I wear many hats, but in a nutshell, I mostly I work on creative ways to spread the word about thredUP to new moms. I do everything from work events and field research to creating marketing campaigns and forming relationships with bloggers. This is where I spend about 70% of my time. Believe me these big monitors come in handy! 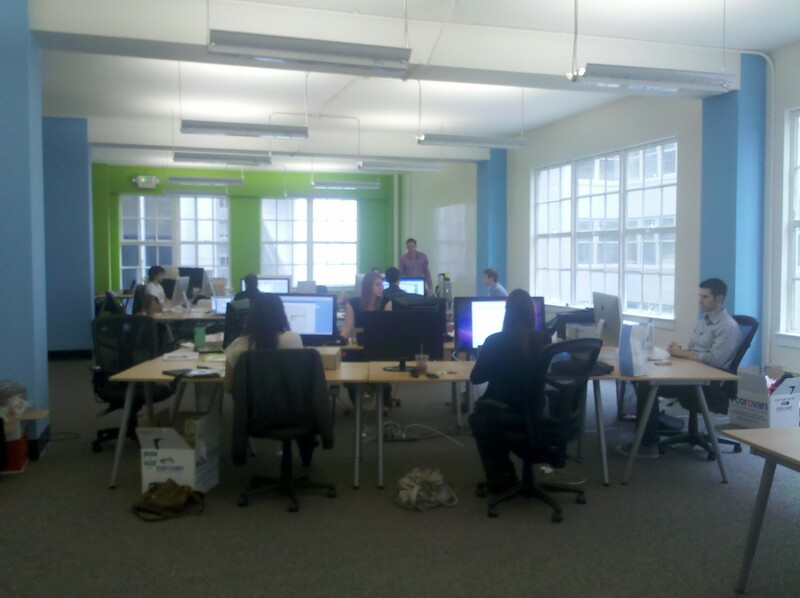 This was the first day at the new office. As usual we will play Tetris with the furniture until we get it right. The thredUP green is a must! We also have whiteboard paint to draw our ideas on the wall. My personal hobby and passion is to cook. Once a week I attempt to make something I have never tried before. 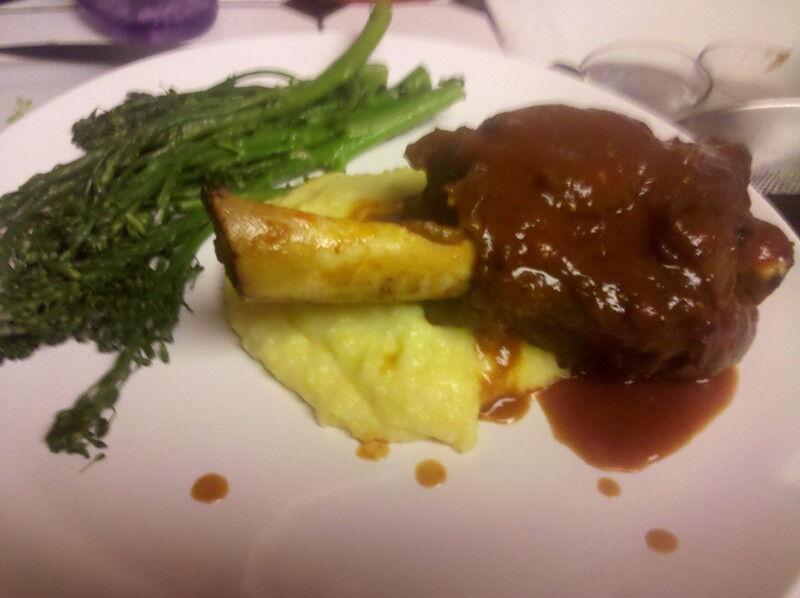 This week’s challenge was lamb shanks. It was incredible. Every week is different and sometimes difficult. It doesn’t always go as planned…like the weekend I tried Calamari. This is my cat Princess Bob. She loves to sleep, eat, and cuddle. Her job is to be cute. 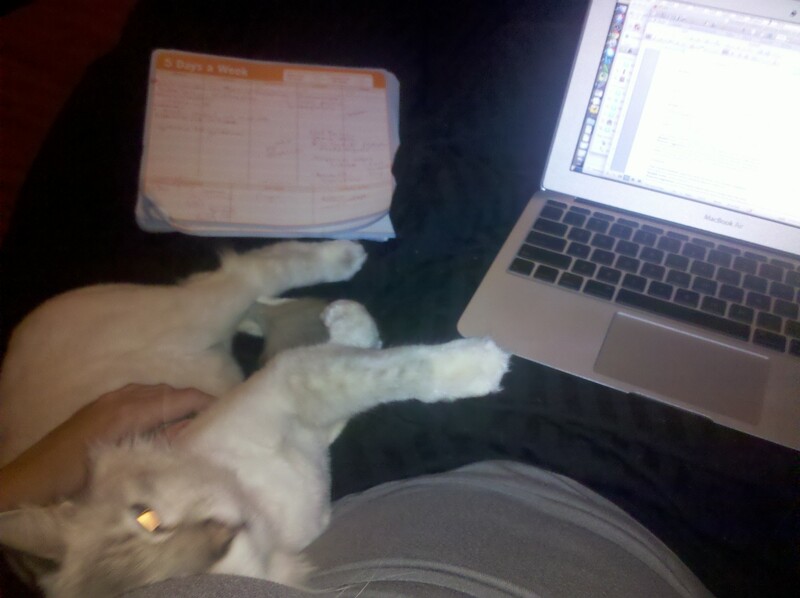 She has the best life and I really wish she would start paying rent. Thank you for letting me share my story with you! Halloween Photo Contest – Winners!! !